You all know I’m a huge fan of dabs, and an even bigger fan of ENails. Especially when a cool company gives me one to review. This isn’t a full review, but it is my first look and thoughts on the 710 Life Enail setup. 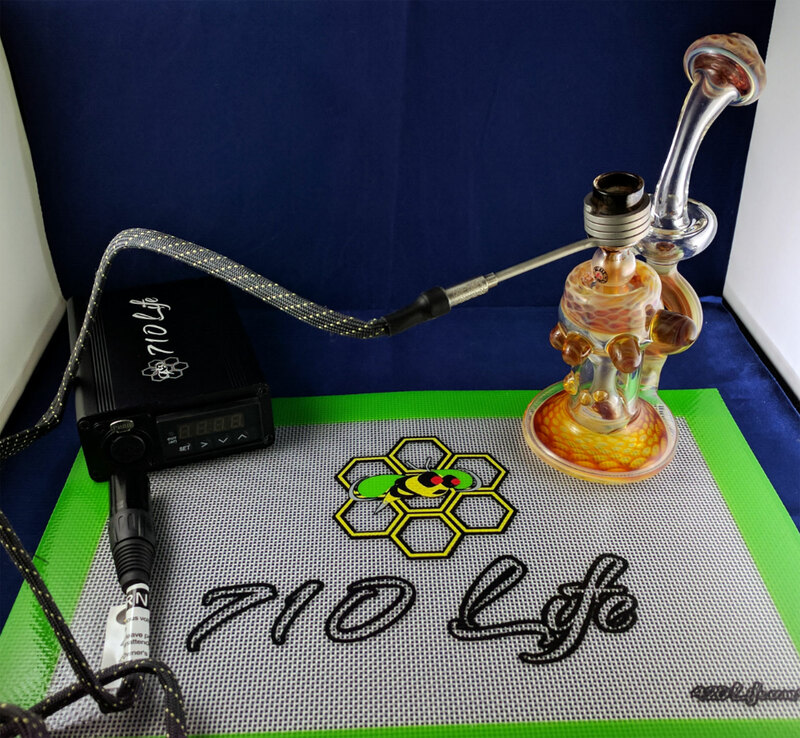 If you want to start your own 710 Life, you can get them here on 420life.com. I’ve got this beast paired with a new Jenkins Glass rig, and it works so well. Jenkins Glass is putting out some high quality, affordably priced, heady functional glass art. Definitely stop by their page and show some love! The 710 Life ENail works great so far. My full review and video will be up on Stuff Stoners Like soon. Be sure to follow me on Instagram throughout the week for more awesome weedcentric content. If you would like your very own sweet piece of Jenkins Glass, hit up Brainsoup or JenkinsGlass on IG.